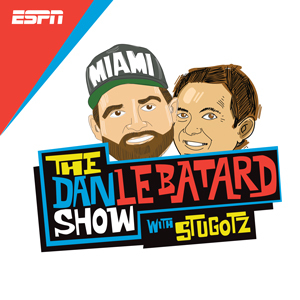 Le Batard and Stugotz are out today. Izzy Gutierrez and Mike Golic Jr. in all show. We are obsessed with ESPN 8 which is playing a bunch of wacky sports.